You can rest assured that this book won’t put you to sleep. 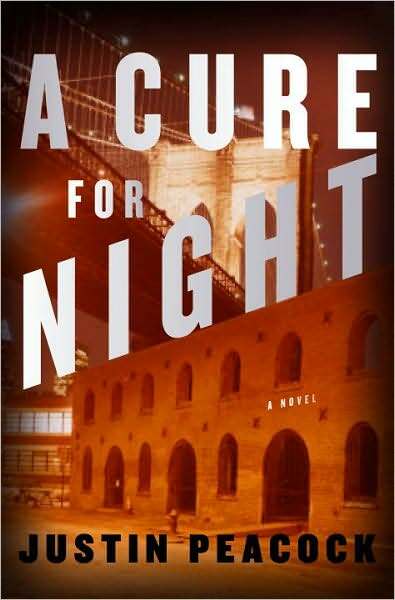 A Cure for Night starts off as the story of Joel Deveraux, a young attorney, who squandered a successful law career and is now getting a second chance in the public defender’s office in Brooklyn. However, the story becomes so much more than that when Joel is given second chair on a high profile murder case. He and public defender Myra Goldberg must navigate the rules of the court and the street as they defend Lorenzo Tate, a black drug dealer accused of killing a white college student in a street shooting. Determining who’s telling the truth and watching the lawyers spin their version of events in court is fascinating. There’s no question that Lorenzo Tate is a dealer. But did he kill the college student or is he being framed? Tate is involved in a turf war with another dealer. Also, what was a white college student doing in the projects of Brooklyn the night he was shot? The first person narration (from Joel’s point of view) is engaging and immediate. The prologue briefly shows us Joel’s lowest point. Later, we see him face his former disgrace and his own past drug use in a subplot that is interwoven with the main storyline. With strong characterizations, the story depicts court scenes, street life, and working relationships without being melodramatic. This debut novel is well-written and fast-paced. In fact, it was nominated for an Edgar award in 2009 for Best First Novel. I truly enjoyed reading about what lawyers go through to defend their clients and was absolutely stumped by the murder mystery aspect. I just couldn’t decide what really happened, who really did it. The reveal was one of those “of course” moments, but well played so that it kept you guessing right up to the final reveal. For the most part A Cure for Night is a stark and believable look at crime and the legal system. Although one scene at the end, in which Joel and Myra are “kidnapped”, did seem a tad unlikely the way it played out. Fans of John Grisham or Scott Turow should enjoy this book. It is a legal thriller worth reading.